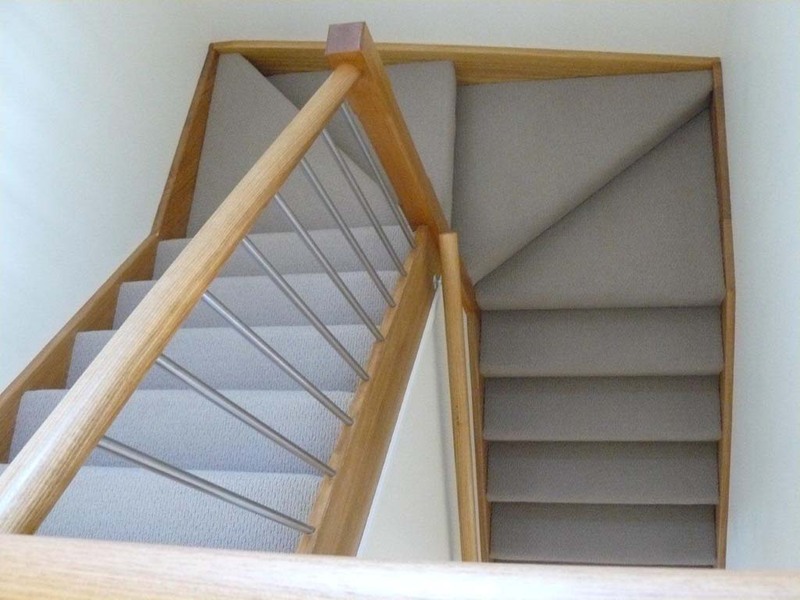 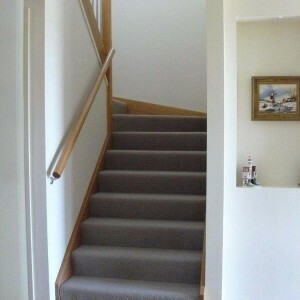 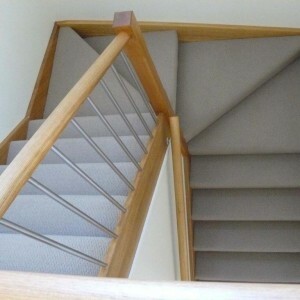 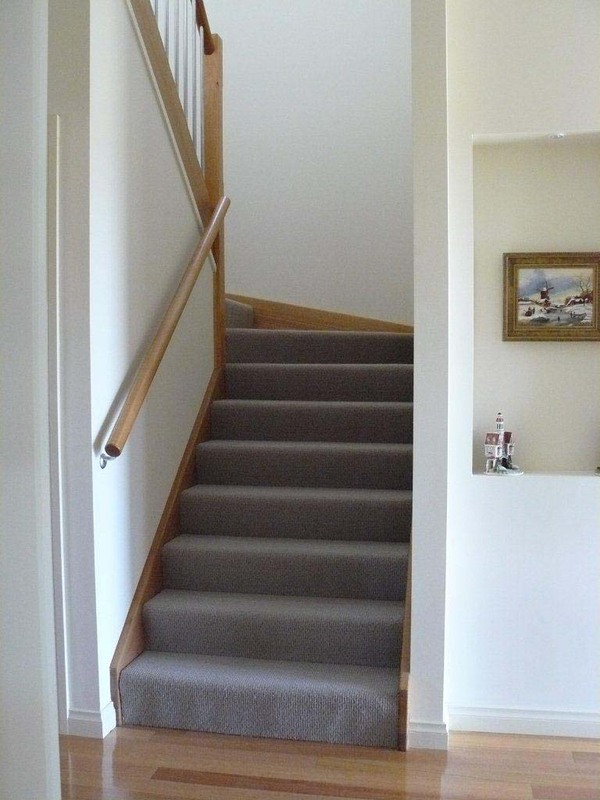 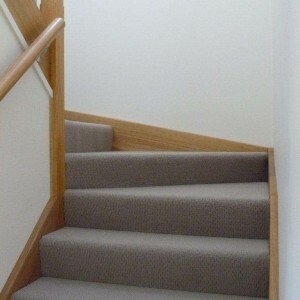 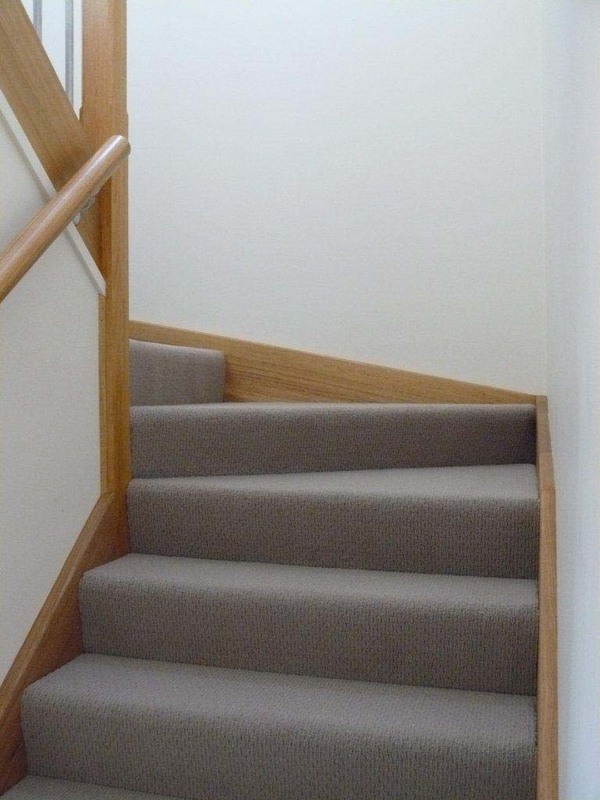 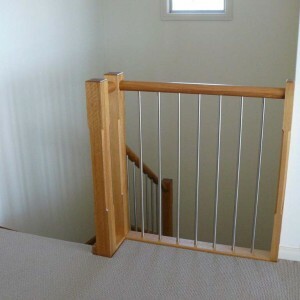 Closed full stringer staircase in pine with Vic ash stringers, posts and handrails. 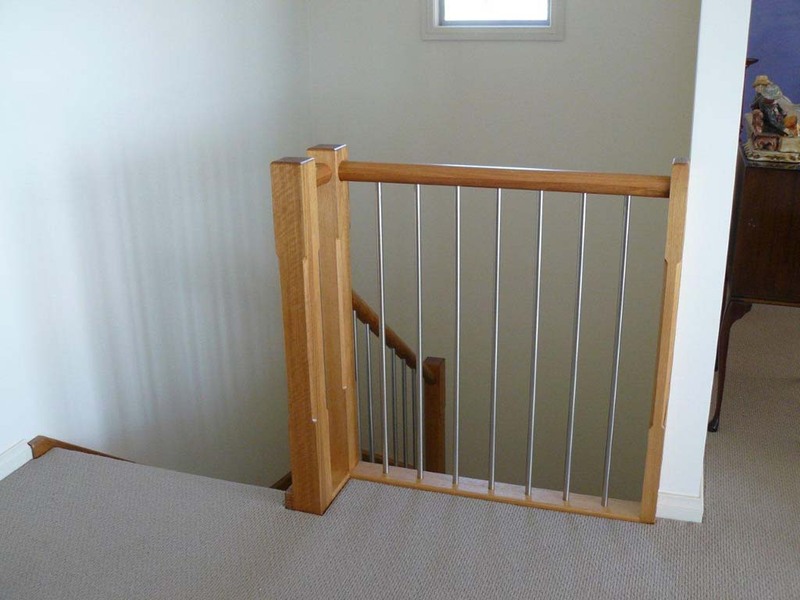 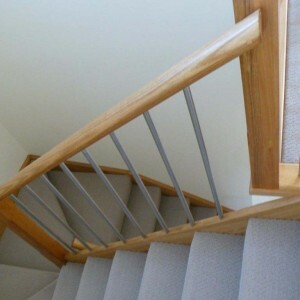 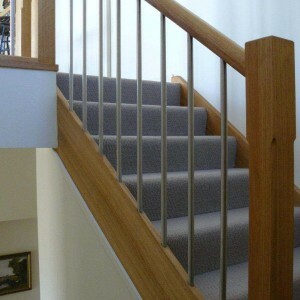 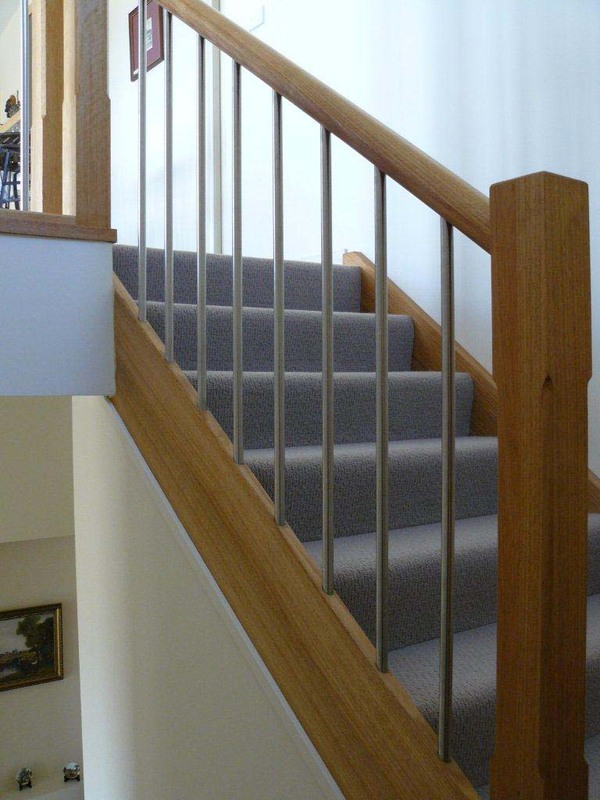 Balustrade consists of 90x90mm bevelled posts, 60mm round handrail with 19mm diameter stainless balusters. 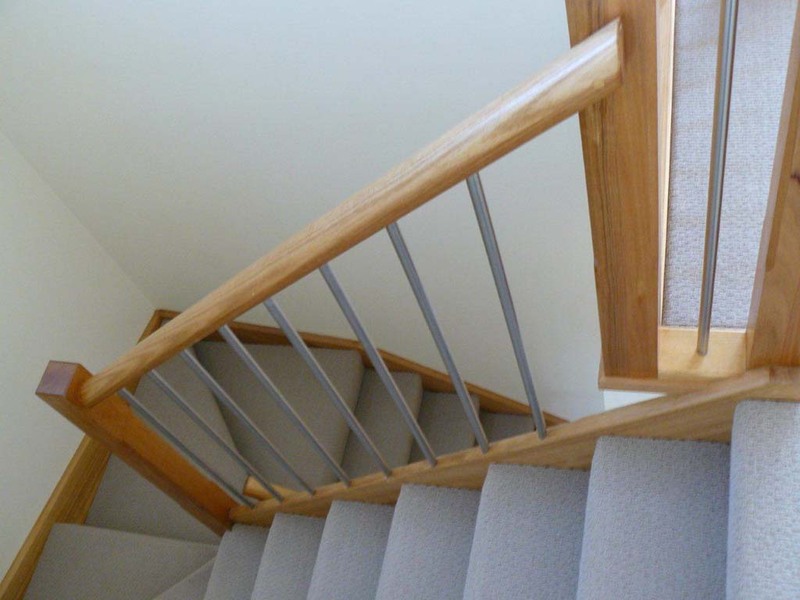 60mm round handrail on stainless brackets to bottom flight wall.